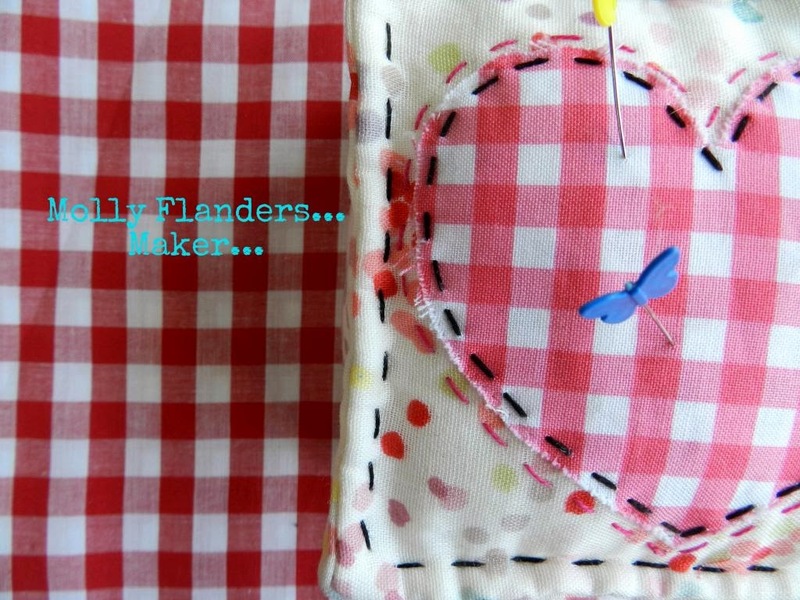 Molly has been quilting like a fiend since this Crazy Dresden idea popped into her head! She cut the corners so two would be this fantastic tree and two elephants! Of course she has embroidered all over this quilt! And now she has the back pieced...the quilt basted...so let the quilting begin! Nah....you are great just the way you are, Molly! I agree! I think Molly rocks!! What an awesome quilt! Peacock lane looks like it was designed just to be used on that quilt! I love the little Mexican skull head. Molly rocketh! fantastic quilt ... lovely lovely embroidery ... just joy! What a fantastic project! The embroidery is divine and I love the borders...love the creativity! Molly's quilt is breathtaking - and youthful. Loving it. This quilt is going to be an heirloom. Love it! What fun Mary! You know how much I'd like my daughter to have in interest in fabric and quilting? Maybe my granddaughter!! It's a great quilt and I really love the embroidery. That background seems to make any contemporary fabric sparkle. Perhaps I should paint my walls that color and then stand next to them. Do you think it works on women the way it works on fabrics? Molly has great talent and creativity and it shows in this wonderful piece of work which reflects just what she is - perhaps she needs to put a mandolin in there too! I love all the embroidery! What a great idea! she has an old soul! and she is great just the way she is! love the quilt! Truly astounding. Like mother, like daughter. There are lots of young quilters out there these days. Glad to have her joining the ranks. Joy indeed Sarah! She must a joy to have in your family! I also agree with MB in MI- a potential quilt show winner (as well as an heirloom!) Can we have a close up of the spider web next time please!! Hee hee! This quilt top is gorgeous!! I love the embroidery. And when the quilt is ready and in the hoop - "be still my heart" is exactly right! Absolutely beautiful!! The embroidery is lovely! ok Molly stay the way you are, I bet your happy! Molly's quilt is absolutely fantastic. And it makes me so glad to see talented young quilters! Molly's quilt is amazing- so creative and fresh. I love it. And am so happy to see that Peacock Lane in person- I had a feeling I would love it. Can't wait to see it all complete! I love this! I already love Dresden's and you have just added the perfect little twist to take it up 5 notches! I seriously love it! Very pretty. Nothing bad about hanging out with the older set. I always have. Usually lots of wisdom there. I can't think of a better way for Molly to spend her time... beautiful beautiful quilt!! i just stumbled across your blog because i'm looking into starting my first ever quilt. i do small-time embroidery now. anyways, your blog is SO inspiring to me!! i love all of your projects! i just have to stop at this one of your daughter's because i've reached my intake capacity of amazingness and cuteness. anyways, just a shoutout to let you know that i'll probably be reading your new posts (and probably looking back at older posts, too!). thanks for the inspiration!